20 - The number of pounds I gained last year and aimed to lose this year. 14 - The number of pounds I lost by mid-year. 10 - The number of pounds I have gained back in the past 4 months because I stopped working out and eating properly. I’ve come to see that I can’t eat right OR exercise - I must do BOTH together. 200; 2000 - The number of skips/jump ropes I could do when I first tried (per workout session); the number I could do at my peak. 123 - The number of times I almost quit using Instagram because every time I saw a pregnant woman or newborn, I ended up in tears. 1000 - The amount people paid (in NGN, not USD) to meet and greet with me and fellow bloggers, Tuke Morgan and Cassie Daves. 4 - The number of road trips I’ve been on this year. I traveled by car/bus from Lagos to Ibadan (with Naija Treks), Abuja, Ekpoma in Edo State (both times with Cakes because we had to deliver cakes and attend events); from Atlanta to Boston and back (with my siblings). 36 - The number of days I read from the 365 Chronological Bible reading plan. This is so shameful. I try every year and fail woefully. Stupidly enough, I did better this year than last year. Progress? Okay okay, no it’s not progress. ≆ 846 - The number of times I imagined pouring water on Cakes' Playstation 4. ≆ 846 - The number of pieces my phone would have broken into if I tried the aforementioned stunt. 2 - The number of years we’ve been married. There have been great and awesome times. There have been low and very dark times. That’s marriage. 770,000+ - The number of views my blog reached not too long ago. Some may scoff at the low number, some may be amazed at the high number, at the end of the day, it’s MY number. 550 million - 850 million - The number (depending on who you ask) that made me finally put Google Ads on my blog. I may not be able to buy a house yet, but it’s a start! 37 - The number of times I attempted to put on strip eyelashes by myself. I failed 36 times. I’m not sure if I’ve quit trying. ∞ (Infinity) - The number of times I messed up, was dramatic, did something stupid, etc. ∞ + 1 - The number of times God forgave me for the above, plus one extra for the next time. That’s it for 2015. I pray for a better, joyous, fruitful (literally and figuratively), productive year in 2016. Happy New Year everyone! Thanks, and I wish you the same! Aww berry don't be sad, I pray that in 2016 we would hear the good news. Just enjoy this time u have with cakes before the babies start coming. Amen and I will definitely. I love this Recap!! It's origina and creative. Next year by God's grace, I hope to get invited to your baby shower. Amen! Thanks Cassie! Amen to that! Plus you did really well with your blog numbers. Really really well actually. Next year, it will be a million page views. Okay I'm commenting too much. LOL!!!! I hope so! 1 milli! If you can, read Amos 9: 13-15 in as many translations as possible. Oooh, I love the Message version - “Yes indeed, it won’t be long now.” God’s Decree. “Things are going to happen so fast your head will swim, one thing fast on the heels of the other. You won’t be able to keep up. Everything will be happening at once—and everywhere you look, blessings! Blessings like wine pouring off the mountains and hills." Wow.. what a different perspective you have.. I pray 2016 brings us or heart desires. Ive got so much catching up to do. No thanks to not having a phone. first of all merry christmas. Then happy anniversary. Now happy new year. Cry no more. A baby is on its way. Im giving my first new year prayer slot to you. Berry my gift oooo. Lol @ the number of times you wanted to pour water on ur husbands playstation. BTW, your gift! That should be on my goals list for the first 2 weeks of January. I really like how you formatted this post, Berry. Very creative. I really hope you get everything you want next year. Are you looking for a workout/diet accountability partner? I ask because I need to get my fitness and nutrition in order. Maybe we can help each other. Let me know. Thank you Uzoma. I'll let you know once I decide what route/plan I want to use for fitness/health. God will answer all your prayers.2016 is for you,just ask and the Lord shall answer. Here's to a fantastic new year. Amen. I wish you a great year! Thanks for the tips! We've actually just started seeing someone and hoping for the best. It's still too early to say if there's anything that we need to watch out for. Awww, don't cry. I know we'll be fine based on God's promises. Awwwwww *big bear hug* 2016 would be your year! Thank you for the hug. Amen. With respect to pregnancy/period,may the good Lord surprise you when you least expect it! my hope and prayer for you is you wont wait long as you desire this. Hi Jackie, thanks for reading and finally commenting! Amen amen amen! And thanks for the compliment. Happy New Year. This was interesting !,I pray that God grants you all that your heart desires in this new year. Thanks. Amen to your prayer. Thanks for being so real and open, it's comforting. I pray your prayers are answered when God feels the time is best. Thanks Tuke. Happy New Year and happy blogging in 2016! Berry Please no crying no crying. From my unborn children to yours- hello! I liked this post and commend your openess. Seeing a doctor is a good think - but name your children and when you talk to God always thank him for them. It worked for me- my testimonies are coming in about 6 months- notice the plural. I trusted in him and thanked him for them long before. Congratulations! That's so awesome to hear! Berry... great recap. Love the numbers format. I pray God grants you your heart's desires. Sometimes it just takes time to happen. You're totally right to do your bit and let God. 2015 was an amazing year for you and 2016 would be even better inshaAllah (by God's grace). About the fertility woes, Keep your head up my dear! Many of us have PCOS or other challenges and while it may seem hard, we've been able to manage/conquer them. It also took me two years to get preggers so I know how frustrated you are.f you have any health questions I might be able to answer them offline I know you're strong and steadfast and prayerful. Cry it out, but never give up. Awesomely worded!...Our God will fulfil your family's heart desire this 2016. AMEN! !! May God grant your heart desires this year. 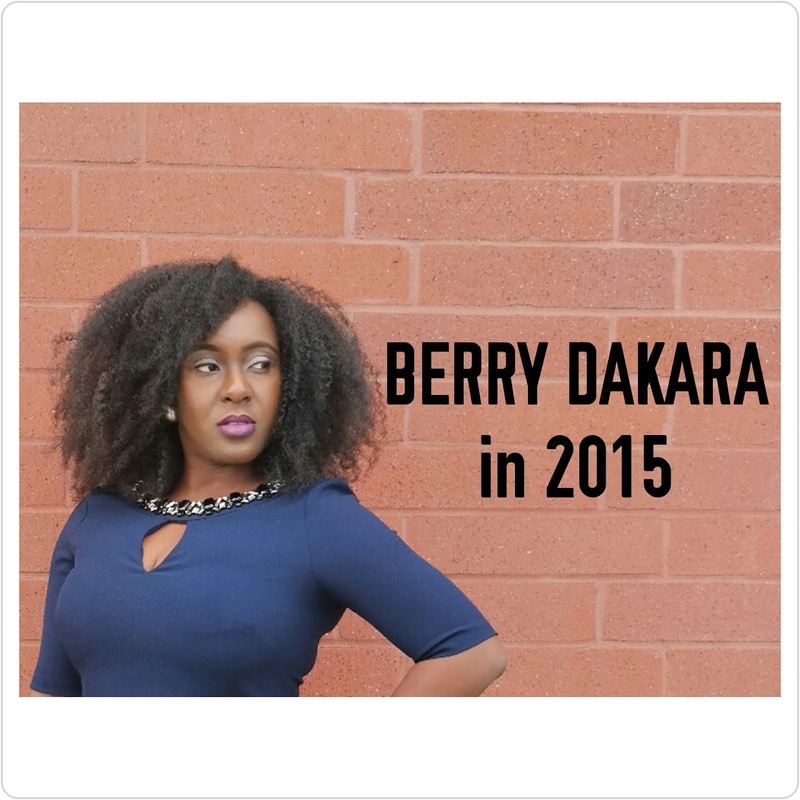 Happy new year berry! May God grant you your heart's desires in Jesus Name. I know you already know this but Imma say it still. Purposefully keep joy in your heart & physical environment. 1 Thess 5:18. Vigorously remind God of His Word concerning fruitfulness. Isaiah 41:21. Thank Him & speak as though your prayers have been answered. Romans 4:17. Wow, your comment is chock full of goodness! Thanks so much dear. Big choco hugs back to you! Thanks a lot Ibk. Amen! I really enjoyed reading your post! its a very creative way to do a recap of the past year! 1. don't pour water on play station o! 2. Every good and perfect gift comes from the lord in whom there is no variation or shadowof turning. he has promised and he will fulfill. Shine mama! Your post is so touching. I pray that God answers your requests speedily. Meanwhile, this life is full of irony. I got married beginning of last quarter of 2015 and discovered last week that I'm preggers since I have missed my period for 2 months. Issue is i'm grateful for baby but didn't know it would come immediately as I'm currently out of job and what my husband makes BARELY takes care of me not to even add a baby. I pray I'm able to find a good job soon in this Lagos so that I can stop being depressed. Oh wow, well first of all, congratulations. Secondly, I pray that God who provides our daily needs will exceed your expectations. While waiting for a job though, are there any skills you have that can bring you money? 1...number of times u made me cry hard because of your post,i went through the exact same challenge and I know how frustrating it can be,trust God and this year will be your year of breakthrough,Amen. P.S-miss pynk congratsss,so happy for you. Awwwwwwwwwwwwww, no tears. But thank you for your support. Amen! 1...number of times your post made me cry because I went through the exact same challenge,but trust God and 2016 will be your year of breakthrough,amen. P.S-miss pynk congratss,so happy for you,God bless your beautiful heart. Happy New year berry.... my prayer is that by this time next year, you'd be reading this post with cakes and your twins babies. Amen! AMEN! Happy New Year to you too! Great recap dear. It's emotional on so many levels (funny, sad and happy). I pray that God grants you your heart desire of a baby and we shall all rejoice with you. Happy 2016 dear. Thank you Chiamaka. Amen! Happy New Year. Happy New Year Berry. This is a REAL and amazing blog! Thanks Adefemi. Happy New Year! Hi Berry, I have a similar story on waiting to be pregnant. I got married December 2014. And through last year I had 11 periods. I cried a few times. There was a particular period that took 42 days to come, so imagine my disappointment when it came. Now, I smile and sing. I plan and pray. I prepare and I love (especially my amazing man). I work and I'm rewarded. I set goals and I ask for God's will to be done. It will be an amazing 2016 for, for me and for all of us as we trust God. PS: It's time to go through the kitchen cabinets and fridge and through out expired and not so good stuff. Remember we did it last year at about this time. I started with a salad dressing yesterday. Hugs, darling. Oh wow, we could be twins almost! Amen to answered prayers. I know God has answered already. P.S. I should put up a reminder again - thanks! Awww, thank you very very much. I'm about to tear up here. Thanks a lot! Amen and amen.